What does spring cleaning involve for you? You might clean out your closet, vacuum underneath all your furniture, and give your car a good detailing. But what about your mouth? While you’re tidying up your surroundings, it’s also the perfect time to visit your dentist in Fresno to achieve a healthier, fresher smile. Your appointment will protect your mouth’s well-being and help you fight decay-causing plaque and tartar. 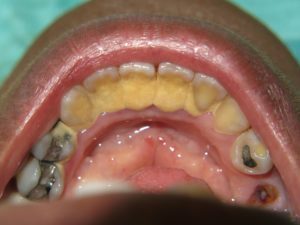 Your Fresno dentist or hygienist can remove tartar from your teeth. This hardened form of plaque is impossible to remove with a regular toothbrush. To see what a difference tartar removal can make, take a look at the photos at the beginning of this post. The patient had a bridge of tartar 5mm thick! 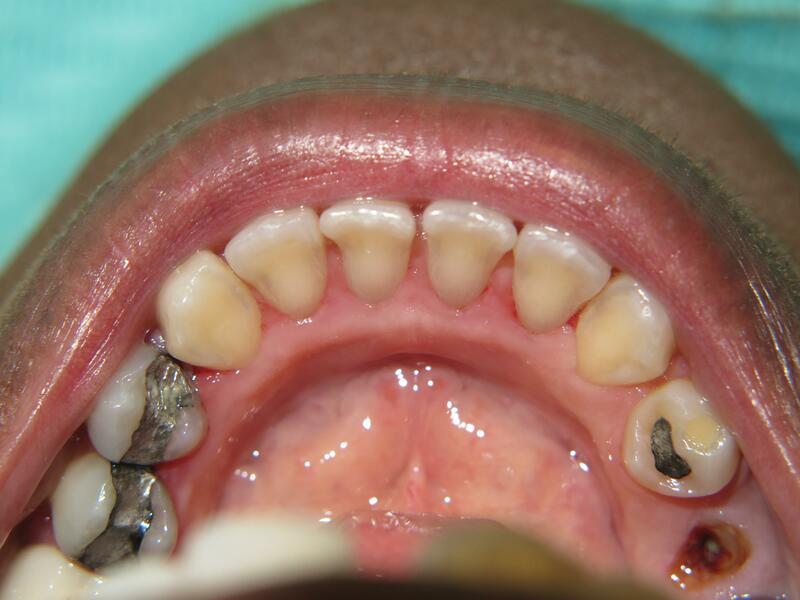 After a special deep cleaning of the mouth, the patient is free of tartar and is now at a lower risk of future dental problems. You can receive coaching on how to protect your oral health at home. Your dentist or hygienist might help you improve your brushing and flossing techniques, recommend products to boost your oral hygiene, or give you tips on how to eat a mouth-friendly diet. Regular exams identify dental problems in their early stages. The sooner a dentist diagnoses decay, gum disease, infections, or other problems, the sooner you can receive treatment. Promptly addressing such issues spares you from future pain and saves you money. Preventive dental appointments help you get the most out of your insurance. Most policies allow you to attend two cleanings and checkups each year at little to no out of pocket cost. What If Your Teeth Are Already Healthy? Some people neglect regular dental appointments because they have good at-home oral care habits, and they feel like their teeth and gums are in good shape. However, such reasoning is flawed. To illustrate, suppose you think your home is clean, but then you move the couch away from the wall. You might discover a veritable battlefield of lost change, dust bunnies, and stale snack food. Similarly, your mouth might look and feel fine at a glance, but when a dentist gives it close scrutiny or takes X-rays to see beneath the surface, problems can come to light. That isn’t to say that everyone has untreated dental problems. Your spring cleaning dental appointment might simply confirm that you are doing an excellent job of caring for your smile on a day to day basis. When was the last time you visited your dentist for a cleaning and exam? If it has been longer than six months, schedule an appointment this spring. Your smile will feel fresher and be healthier as a result! Dr. Byron Reintjes has been serving patients in Fresno for nearly 30 years. He offers basic dental cleanings, deep cleanings to fight gum disease, and a host of other services that promote healthy teeth and gums. If you would like to learn more about what he may be able to do for your smile, contact our office today at 559-438-6684.